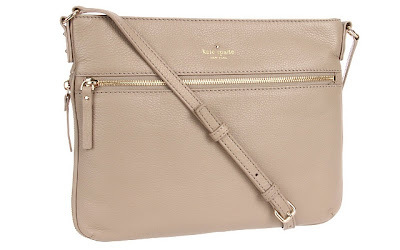 The Kate Spade New York Cobble Hill-Darby Cross Body in Oyster is currently selling for just $140.00 on Amazon.com! You will be saving 56% off the listed price of $318.00 with this fashion deal. Here are more Kate Spade deals going on right now on this bag in other colors . . .
What I like about this crossbody bag is how versatile the style is while allowing you to be hands-free!